I will be moderating the PGH-sponsored Philippine Society of Medical Oncology Round Table Discussion on AIDS-Related Malignancies tomorrow night. My friends and colleagues, Dr. Rich King and Fred Ting—rhyming, I know—will discuss an interesting case and some nitty-gritty details in the new approaches to these diseases. 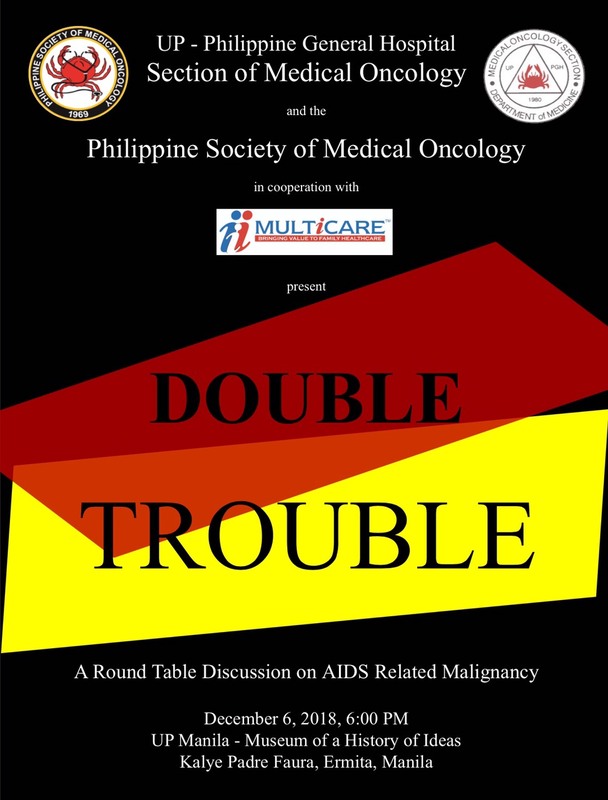 It will be followed by a panel discussion with the following experts: Dr. Francisca Roa (Dermatology), Dr. Dessi Roman (Infectious Disease), and Dr. Gracieaux Fernando (Medical Oncology). Some residents and fellows from Dermatology and IDS—and Hematology, I learned—will also be joining us. This is exciting news—having these great minds around—because management of these cases is largely multidisciplinary.